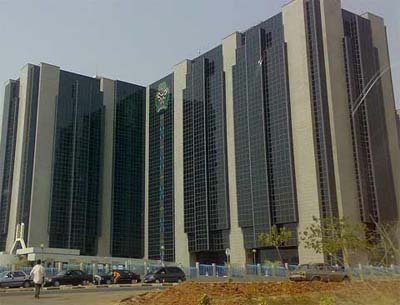 abuja—The Central Bank of Nigeria, CBN, yesterday said it has commenced the implementation of the N500 billion non-oil exports stimulation loan. The CBN stated this in a circular titled ‘Circular to All Deposit Money Banks and Development Finance Institutions on the Commencement of the Non-Oil Exports Stimulation Facility (NESF). The loan facility proposed two years ago was created for local manufacturers and exporters with the aim of diversifying the revenue base of the economy and expediting growth and development of the non-oil export sector. The Central Bank of Nigeria, CBN, headquaters, Abuja CBN stated: “The Non-oil Export Stimulation Facility (NESF) has been introduced to engender growth in the non-oil sector of the economy and foreign reserve accretion. The facility will help redress the declining export financing and reposition the sector to increase its contribution to economic development. “We hereby inform all participating financial institutions that implementation of the NESF has commenced. The following shall be eligible to participate under the facility: Deposit Money banks and development Finance Institutions (DFI).” According to the circular, the loan facility will have a tenor of up to 10 years, not exceeding the 31st December, 2027; while, the principal and the 7 percent annual interest will be repaid quarterly and in accordance with the repayment schedule.